You are currently browsing the tag archive for the ‘food choices’ tag. This week brings another update from Eleanor Baron’s Nourishing Words Blog out of Concord, New Hampshire, where a group is participating in NWEI’s Hungry for Change: Food, Ethics and Sustainability discussion course. This post offers up reflections from Session Three: A Healthy Appetite. To follow Eleanor’s blog, click here. Each week, we begin with an “opener,” offered by one person who shares a thought, a memory, an object—anything relating to our work in this course. It gets us thinking and talking. Beth, as an opener for Week 3, brought a bag full of packaged foods from her home cupboards, most of which were labeled “organic.” What we passed around surprised us all. One by one, we read the labels, revealing marketing claims, additives, chemicals and trans fats lurking in the fine print. The exercise left us all feeling a bit humbled, wondering what’s in the shadows of our cabinets and cupboards at home. Our readings had primed us for talking about how our food choices impact our health and how packaging and marketing affects our decisions. Already an arguably conscious group regarding food choices, one by one we realized our weak points—what could stand closer scrutiny. We talked about our go-to comfort foods, the foods we eat without much thought at all and foods we’ve long ago given up. We talked about how we make food choices in the first place. It’s easy, in this world of food awareness, to feel a bit smug in our choices. After all, we’re gardening organically, shopping at farmers markets, joining CSAs and striving to fill the cupboard with unpackaged, real, whole foods. With a few exceptions that we’re prepared to chock up as minor, we’re doing the right things. But why? … (*To read Eleanor’s full post, click here). Exploring Connections Between Food & Sustainability: A Menu for the Future Group Starts Blogging! uncleaned eggs packed into re-used cartons? Not to mention large or extra large, Grade A or Grade AA. 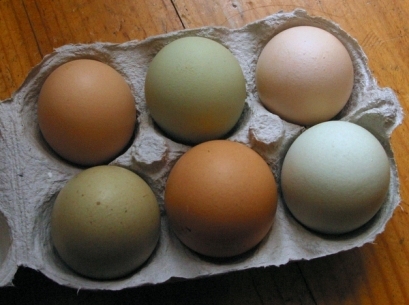 Is the notion that brown eggs are healthier real, or is the difference from their white counterparts only shell-deep? (If only we had 9-year-old Nathan in Reston!) But for those trying to make informed decisions about food, it doesn’t stop with eggs. Is organic milk from Walmart better than conventional milk from a mom & pop store? What’s better, organic or local? Whole Foods CEO John Mackey and Michael Pollan talk organic vs. local here. What I’ve started to wonder amidst all the ferment about local and organic is this: Why turn it into a boxing match? Why the reductionist, either/or mentality? Why not local and organic, and while we’re at it, grass fed, family scale, socially just, economically viable, carbon neutral, humane, culturally vibrant, community based, and ecologically renewing? And that sounds great. But how can we make it happen? What changes need to take place? Thanks to this group for taking their musings to the blogosphere and for sharing this information with others! You can read other posts on their blog here. A Preview of Hungry for Change – and Reminder About Free Books for Course Organizers! Tomorrow, November 15th, is the deadline to take advantage of our offer to Hungry for Change course organizers! If you convene a group and place your order by tomorrow, we will give you (the course organizer) a free copy of the course book. Just give us a call if you are ready to go! *As a special preview of one of the articles in the new course book, below is a quote from Vanessa Barrington’s The Ecology of Food, which you will find in Session One, The First Bite. “…Ultimately, I think we need to look at food and nutrition ecologically. Each nutrient is part of a functional system and each food that we ingest is a part of the body’s functional system. Beyond that, the food we eat is also part of our larger socio-economic and cultural system around food. 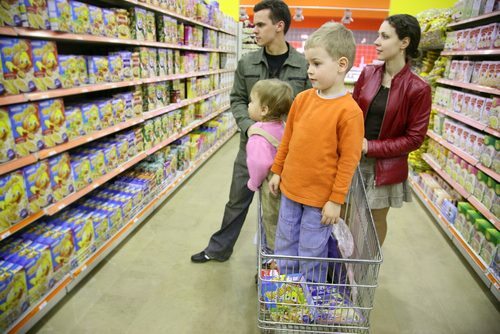 When I shop for food I think a lot about the different levels of nourishment in it. Does it nourish my heart, my soul? Does it nourish my pleasure centers by tasting good? Does it nourish the relationships I have with the people I’m eating with? Does it nourish the environment, or cause harm? Does it nourish the people who produce it, or exploit them? 1. Do you agree with Barrington’s statement that we need to look at food and nutrition ecologically? Why or why not? nourishment, cravings, family, etc?) Would you like to use other filters? 3. What is one food choice that you make or could make to nourish the environment more and cause less harm?